Vacation rental condominium. Sleeps 5, 0 bedroom, 1 bathroom. Cats, Dogs allowed. This studio w/loft sleeps 5 ppl. It's 711 sq ft - larger than most 1BR units. 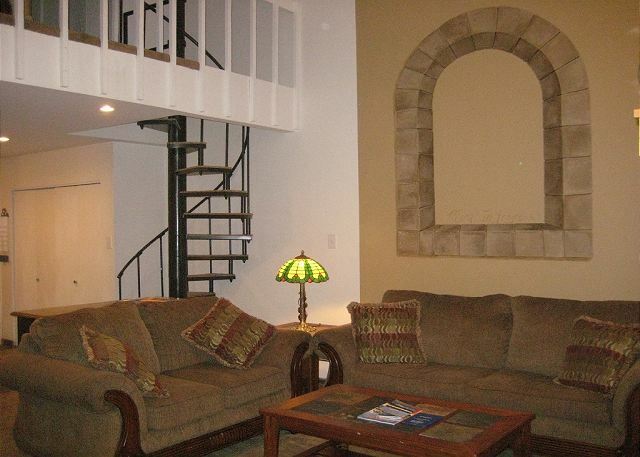 We love the retro spiral staircase leading up to the loft! Get cozy on the new furniture in front of the warm fireplace. 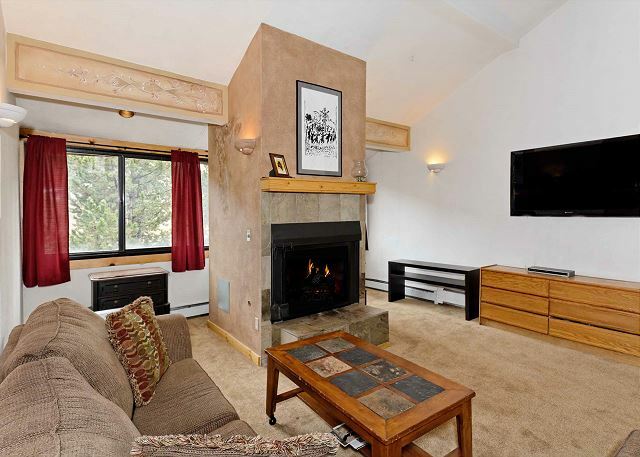 Relax in the large living area, complete with gas fireplace and 55' TV w/DVD. 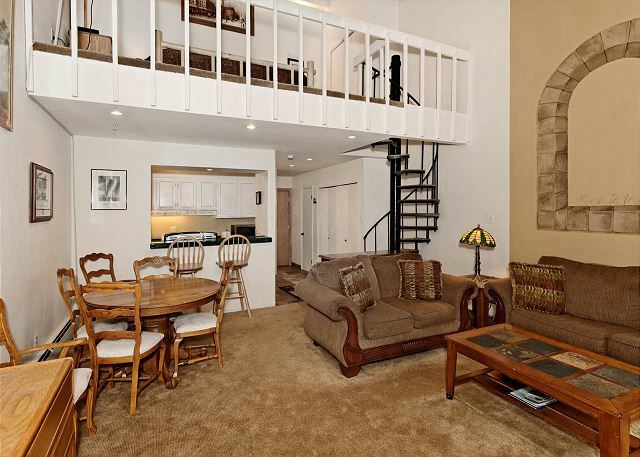 The vaulted ceilings add to the open feeling in this large studio with loft. 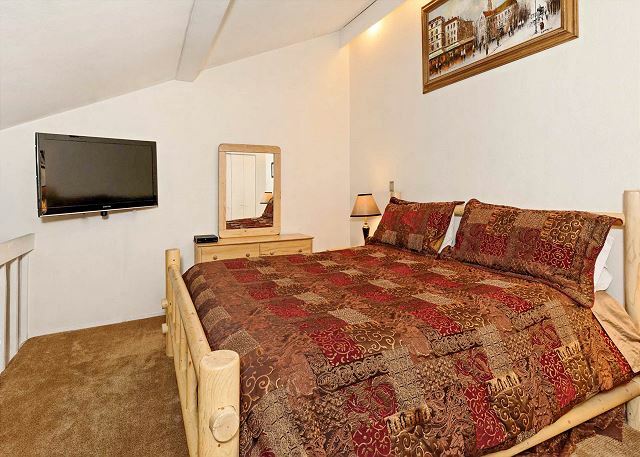 You won't believe this is a studio with the large open floorplan. The kitchen has full-size appliances, a dbl sink, and brand new flat-top stove. You'll cook your favorite meals in this fully equipped kitchen. 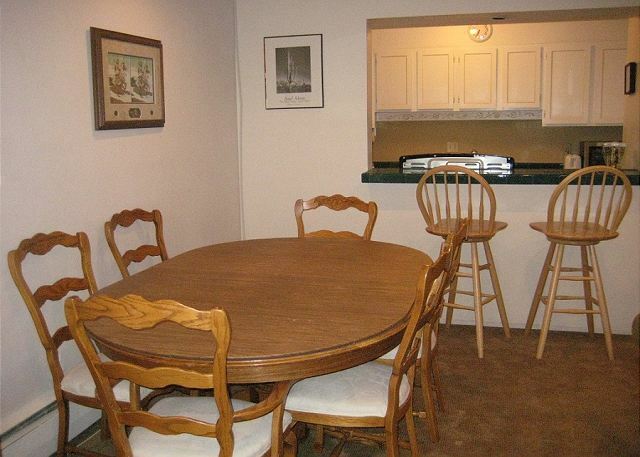 Plenty of room for dining at the table or bar with bar stools. 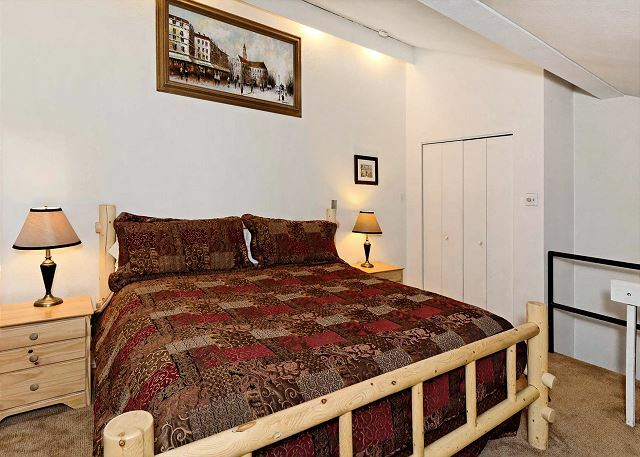 King bed in the loft, night stands and reading lamps on both sides of the bed. New 40' flatscreen TV in the loft, and a DVD player with remote. New 5-piece living room set, includes a queen sofa-bed w/ memory foam mattress. 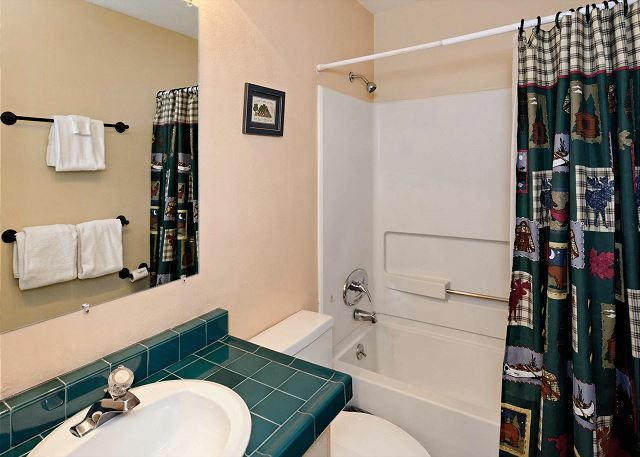 Bathroom with full tub & shower. We provide lots of supplies and paper products. 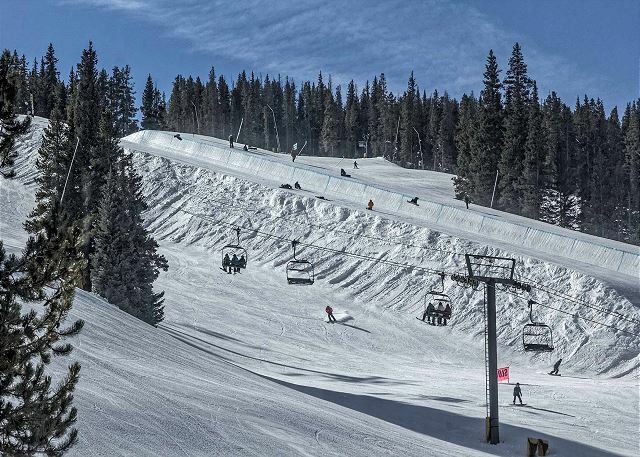 Sweeping base area views at Copper Mountain. Ski right to the patio and drop your skis in the ski locker room straight ahead. Don't leave your furry friends at home! 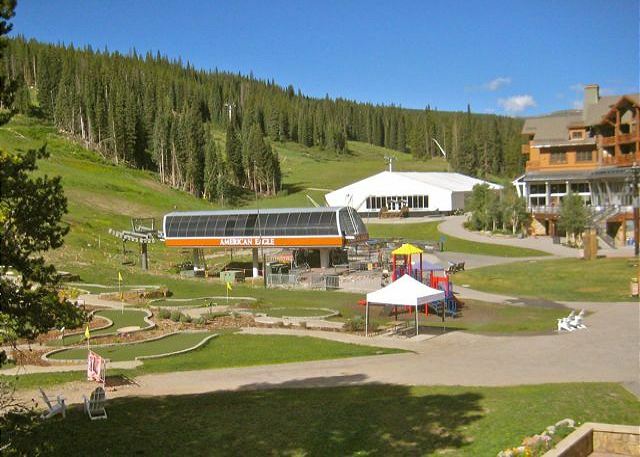 Family and pet friendly ski-in/out. 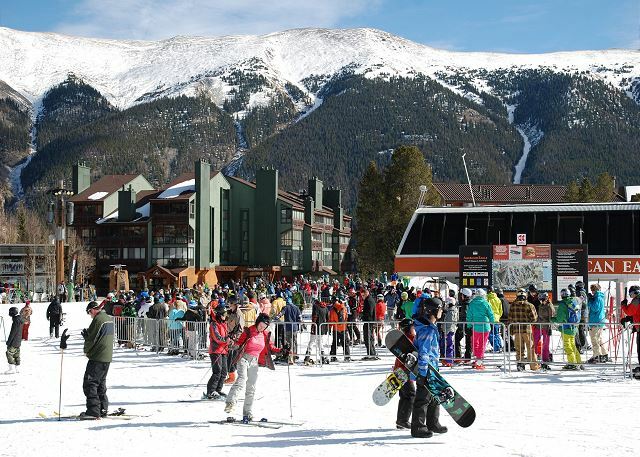 Copper Junction's legend burns bright at the heart of Center Village, where generations of skiers have come to play. After you park in the covered street-level lot, you'll zip up the elevator and straight into this classic, updated studio/loft with a central gas fireplace, a big loft and cozy kitchen nook with stainless steel pots and pans and colorful mountain pottery. Recent updates include new carpet, a deluxe brand-new memory foam sofabed and some BIG flatscreen TVs! 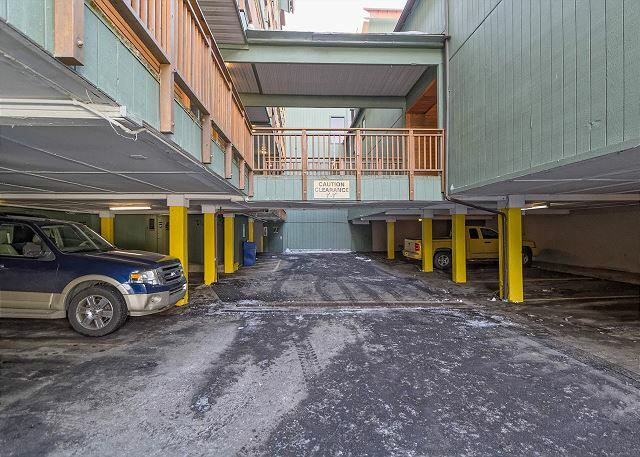 This third floor condo is conveniently located right off the elevator, and faces the ski mountain, with a perfect view — check out the snow conditions before you get dressed! 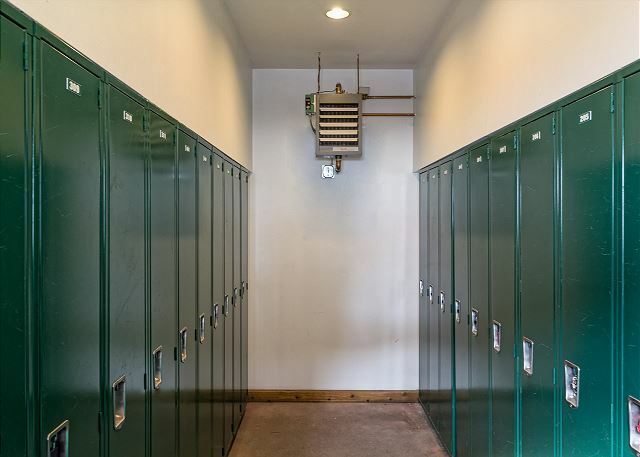 And when we say ski-in, ski-out, you can't get any closer, and there are secure unit-specific ski lockers just steps off the slopes. At this Center Village location, all the concerts, fireworks and parades are right outside the door, or stroll and shop the back alleys of the resort. Your Copper Mountain condo "home away from home"
On the main level, just inside the condo door, is the full bathroom. 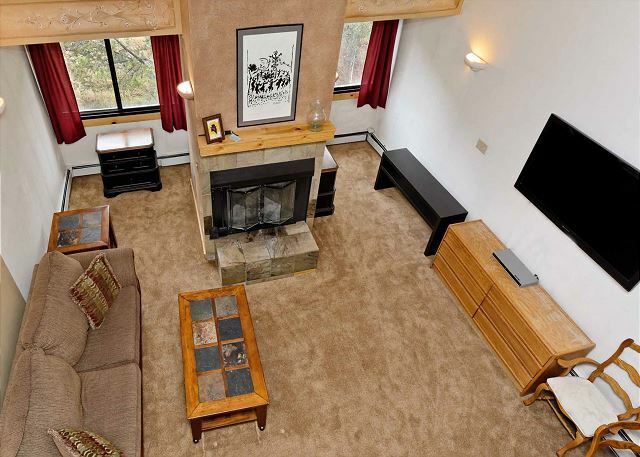 In the living room, there is a queen-size sleeper sofa and a twin rollaway bed tucked away behind the fireplace. 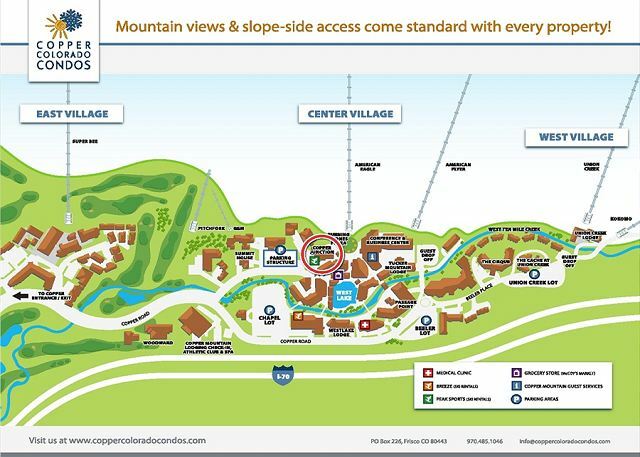 We offer ,b>free WiFi, a ski closet just outside the condo door, free parking and ski-in, ski-out access. 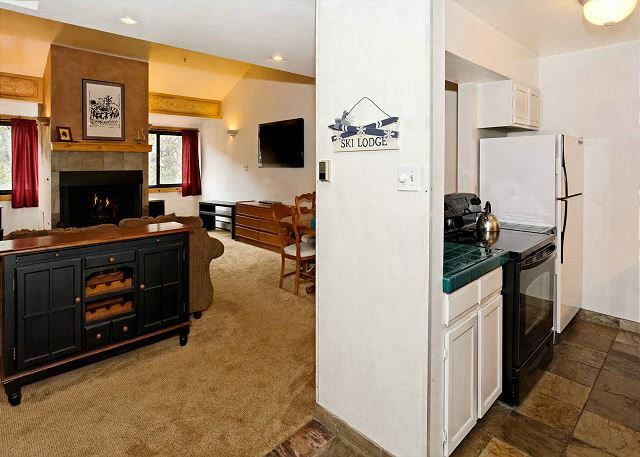 The fully-equipped kitchen offers full-size appliances and all the utensils you'll need to prepare your favorite apres-ski meal. Parking is located directly underneath the building, and there is ample overflow free parking next door in the parking structure. 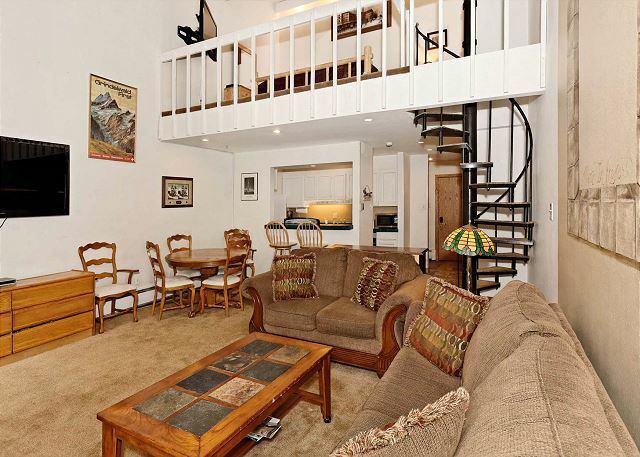 This condo is not recommended to families with small children due to the open loft area and spiral staircase. This newly-refurbished condo is still pet-friendly. The pet fee is $50 per pet per night. Sorry, we cannot make any exceptions to the pet fee, even for your darling exceptionally well-behaved non-shedding pet. Guests in violation of the pet policy will be charged a minimum of $300 in addition to the $50 per night per pet fee. Please contact us if we haven't answered all of your questions about this super studio. This place was perfect! Had everything we needed to make our own meals and the king size bed was wonderful after a long day on the slopes. Max our four legged family member love the bowl of treats waiting for him upon arrival. This condo will not disappoint! 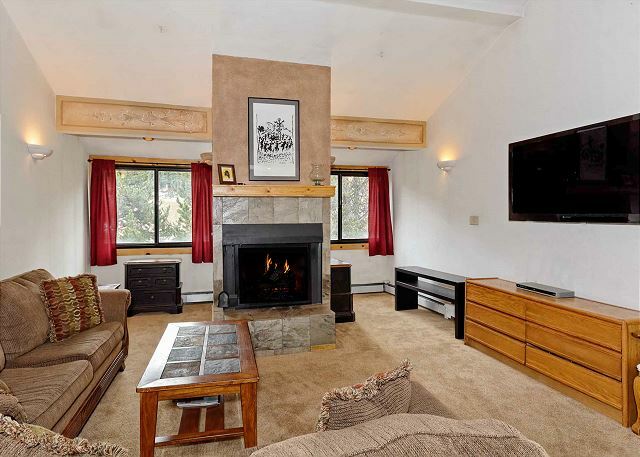 Best location in Copper, one minute from Eagle lift - ski in/out,pet friendly and very, very comfortable! Property manager, Leigh, worked with me for the last three years for this condo. She's the best. Won't disappoint! 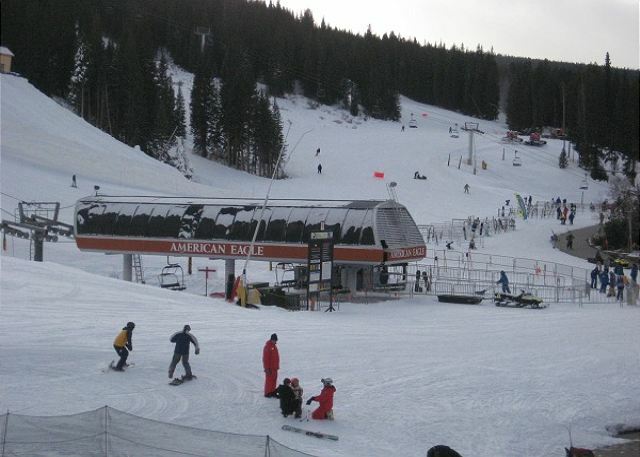 Such a great location, by the ski lift, the restaurants, bars, where so much energy lives. The property is older but is very comfortable. Gas fire place. The condo was clean, fresh and a great price. The location was great the beds were very comfortable the blankets were so cozy. Very spacious for 4 or 5 people. We loved it and cant wait to book again. The condo was just how it was described and looked in the pictures. It was clean and well kept. The location was excellent. I would definitely stay here again.